Haas presented the VF-19 of Grosjean and Magnussen in London with new decoration. "I prefer it to be quick and then make it reliable," says Steiner. Haas was ahead of the rest and presented his car 2019 before anyone, this Thursday in London. In the technical aspect, the VF-19 of the North American house shows the aerodynamic novelties of the season that already begins, making easier the front wing and wider and bigger the rear. 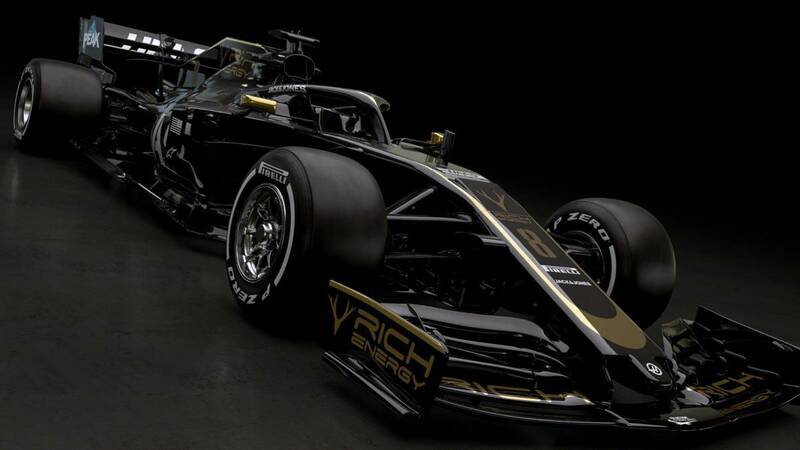 Although the most striking is in its aesthetic changes: new color palette for the manufacturer, which leaves red and white and focuses on the black and gold of its main sponsor, the energy drink Rich Energy. Colors reminiscent of the old Lotus of the late 70s, specifically the Lotus 79 of 1978 that won the World Cup with Andretti. American twinkle. Your two pilots, Grosjean and Magnussen, hope to confirm the quality jump of a team well established in the middle of the classification and closely linked to Ferrari, also technologically. It will be the fourth year in F1 for a team, founded by Gene Haas, which comes from the American motorsport-show and has already been successful in its different associations in the Nascar or the Indycar. In the 'big circus' so far have been twice eighth and once fifth (2018) in the classification of constructors, with the fourth position of Grosjean in Austria last year as the best result. "The biggest change is the spoiler forward, has been a very hard job for engineers and now it's time to pilot it and see what we are capable of, "says Grosjean, 32, before his ninth season in F1. "The tests will be exciting, it's the first time to feel the car, we'll see how far it can go," says Magnussen, who is on his fifth course. Gunther Steiner, head of the team, in front of his car: "It's nice, very different from what we had before, and I hope it is also fast, that we will check in the tests in a few days, but I hope we can do a great job, it has to be reliable, it is not enough for it to be fast, but if I have to choose, I prefer it to be quick to later make it reliable ".